Mark, JP and Gary attend AIAG networking event as part of the Global Tooling Alliance of Michigan at the AIAG Headquarters on March 15, 2012. March 15, 2012 10:00 a.m. to 2:00 p.m. Location: AIAG Headquarters, 26200 Lahser Road, Ste 200, Southfield, MI 48033. The Global Tooling Alliance (GTA), featuring 19 specialized and diversified tool and die shops, is offering a unique networking opportunity for attendees. 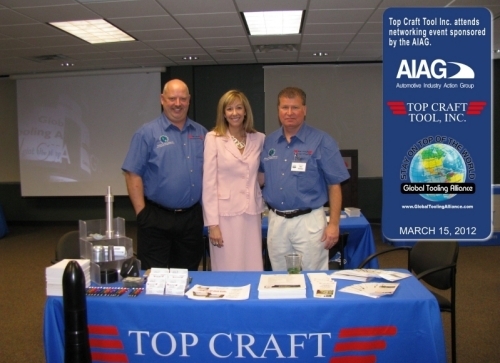 Top Craft & Global Tooling Alliance has just joined AIAG (Automotive Industry Action Group). 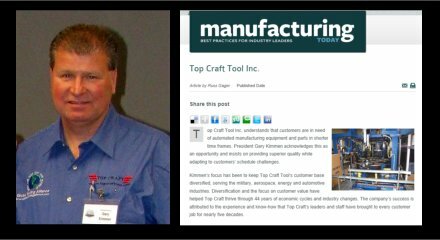 We look forward to our next meeting with them in June and then doing a trade show set up for the Global Tooling Alliance.